"A leader is someone who builds their team, mentors them and then advocates for them. Leadership is about setting a clear course then motivating and empowering others to reach the destination. Despite technological advances, leadership in the hospitality industry has become more challenging than ever. There are ever fewer employees who must do more. Never before has the heterogeneity of the workforce been so prevalent: the extreme age differences, the varied backgrounds and the numerous nationalities make for often difficult communication and organization. Appropriate leadership standards and clear employee expectations are a must to ensure a well-functioning business and an enjoyable workplace. "To me, leadership is about playing to strengths and addressing weaknesses in the most productive and efficient way possible. It's about knowing your team and yourself, and doing your best job to set both up for success." Twice a year the line staff of all hotels in all destinations should be introduced to a bigger variety of training courses. 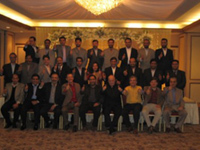 The learning sessions had to take place on 2 days and each session takes no longer than ½ day. 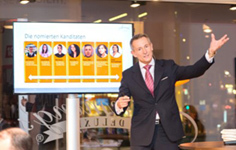 We provided a program that encompassed 12 topics so teams could easily rotate. All team members had also the opportunity to participate in the newly updated Award Program, the Ignaz Blodinger Prize! 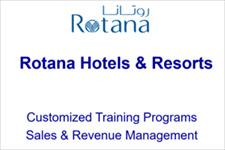 The revenue management teams of all hotels had to be updated on new methodology and pricing strategies. 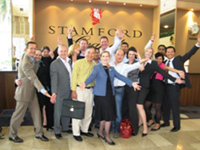 They also had to understand the WORLDHOTELS global revenue system. For the sales teams a certified program was created including an exam in order to be certified.